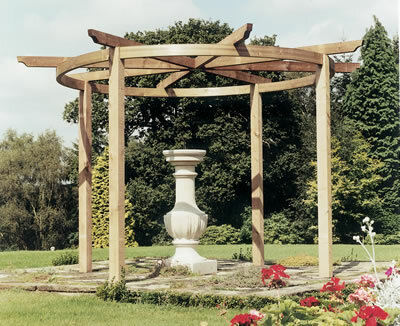 Colonade Pergola, attractive curved topped archway from Grange. 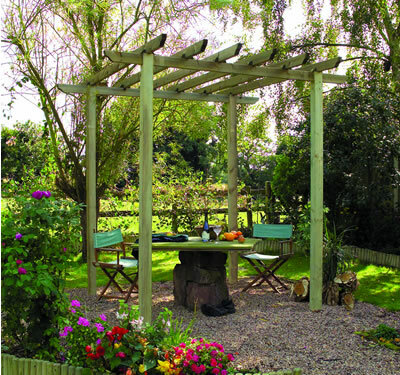 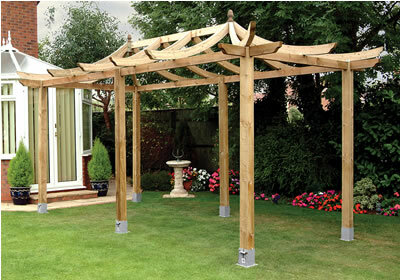 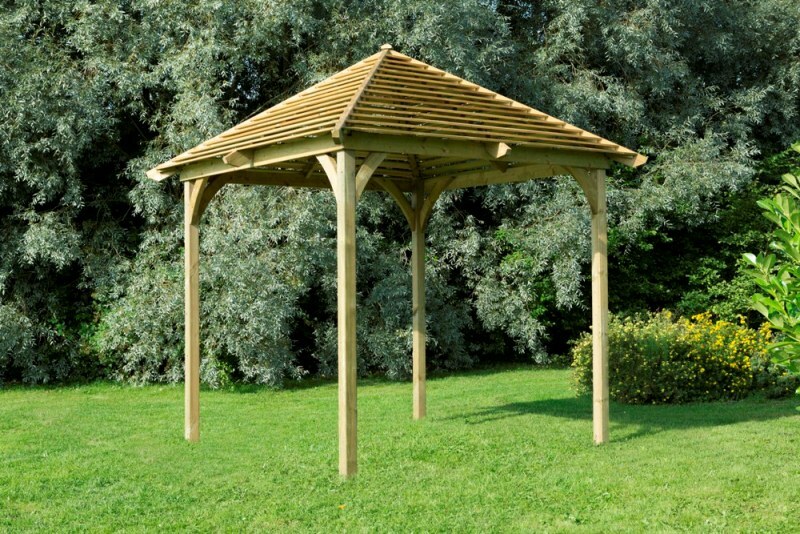 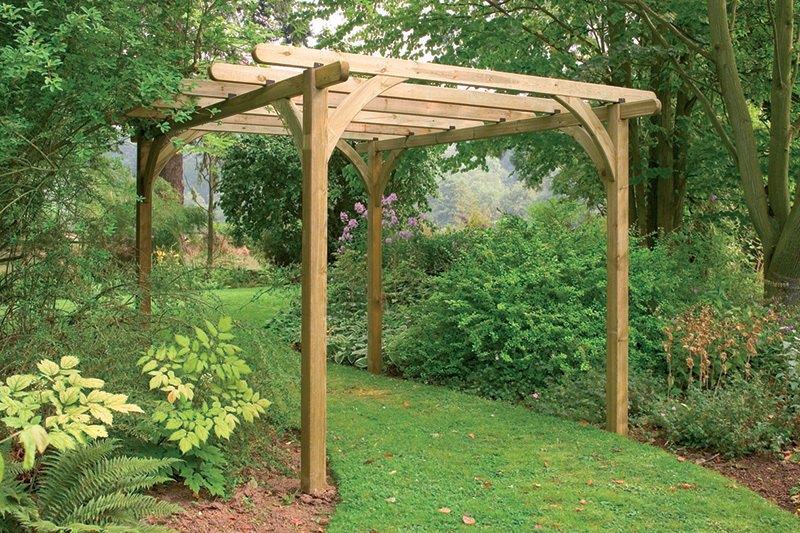 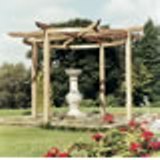 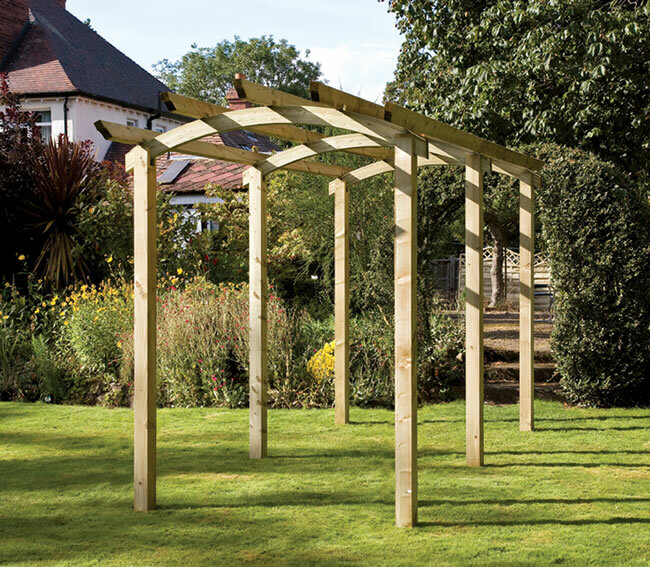 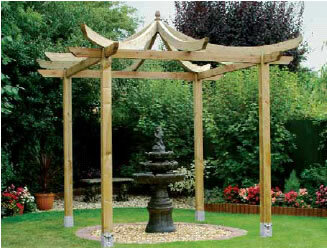 The Hemmingford traditional style Patio Pergola in pressure treated timber. 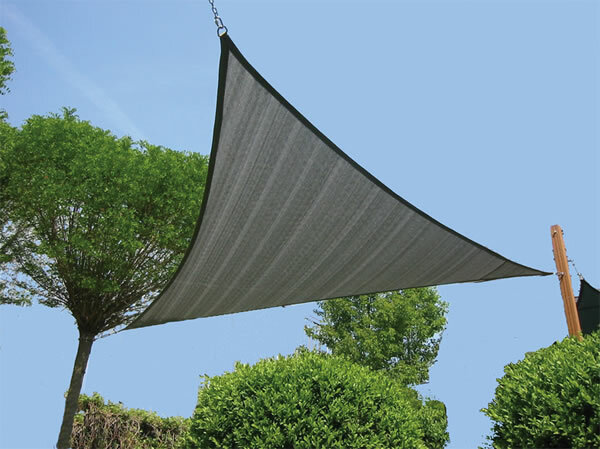 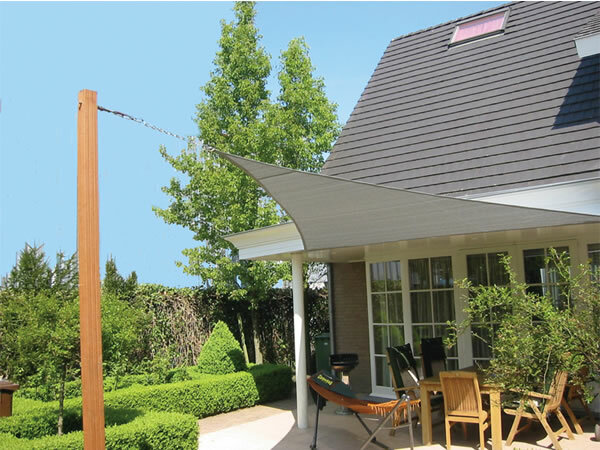 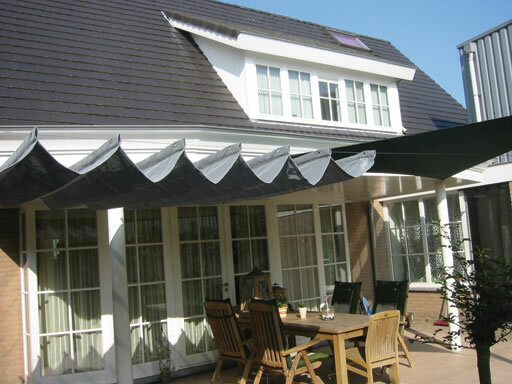 This square sail shelter provides an alternative to a traditional parasol. 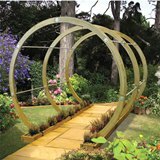 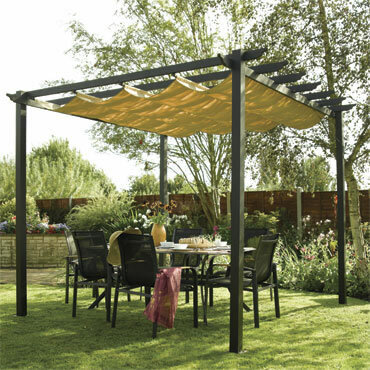 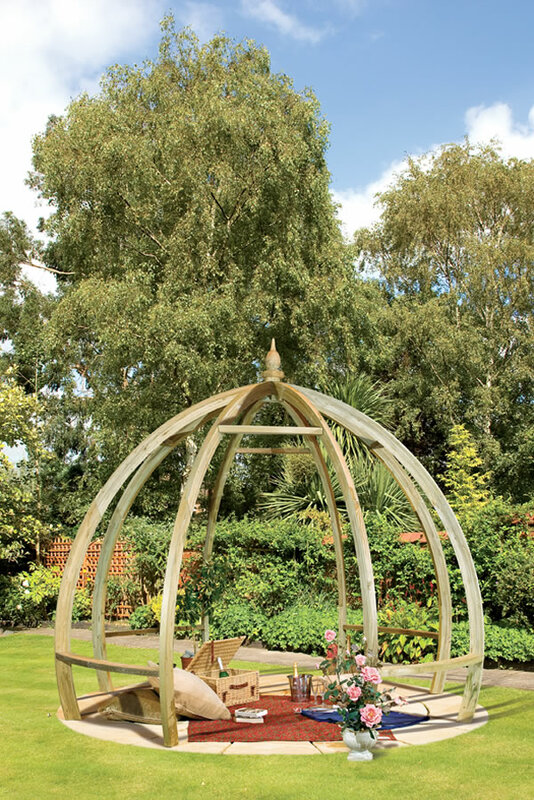 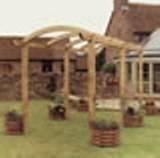 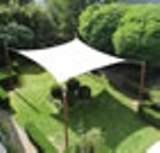 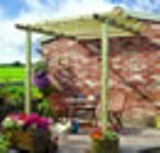 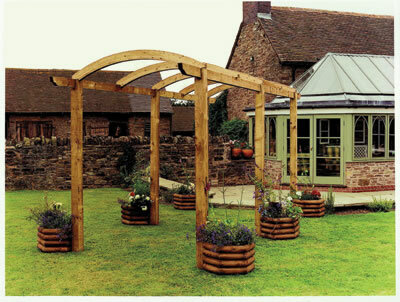 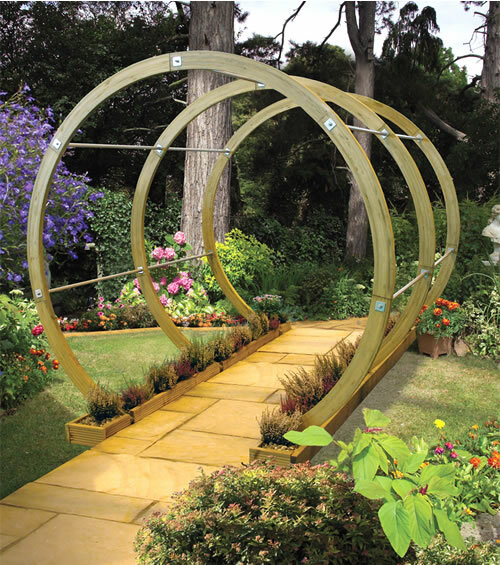 13'8"x13'8"
The Pod Pergola from Grange adds style to your garden with its unusual curved design.